EQUIP is grateful to God for the encouragement and support from our ministry partners. A theological community of men and women, living, learning and growing in Christ together. Publishing high quality Biblical resources for growing disciple making disciples. A Christian 12 step program for people struggling with addictions. Stocking Biblical, Christ-Centred and spiritually helpful books. 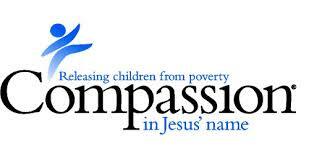 Sponsoring 1.8 million children in Africa, Asia, Central America and South America, in partnership with local churches.